James E. Kostrava served as vice president for development for the Mackinac Center for Public Policy from 1995 through 1999. He helped the Mackinac Center raise more than $10 million during that four-year period. Kostrava coordinated the successful $2.4 million Mackinac Center headquarters building campaign and developed the Grand Rapids and Southeast Michigan Boards of Advisors. Immediately prior to joining the Mackinac Center he served as executive director of the President's Club for the Oakland University Foundation in Rochester, Michigan. From 1978 through 1991 he was vice president — marketing for the Detroit-based Construction Association of Michigan. 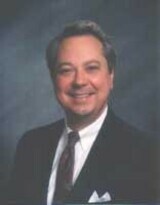 Kostrava earned his Bachelor of Arts degree in Advertising from Michigan State University in 1975. In 1990 he earned distinction as a Certified Association Executive (CAE) through the American Society of Association Executives in Washington, D.C.
Is Mackinac Center Too Successful?